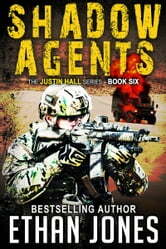 Amazon bestselling author Ethan Jones returns with Shadow Agents, the next must-read electrifying thriller in the Justin Hall spy series. When combat-hardened Justin Hall and his partner Carrie O’Connor, CIS’ best field operatives, narrowly foil a suicide bombing in Berlin, one of the cell members escapes and Justin is the only one that can identify him. Dispatched to track the fugitive at all costs, the terrorist hunt begins to reveal an unsettling game of deception and betrayal. Implicating top officials in opposing intelligence agencies. The trail leads them down dark alleys and dead ends inside terrorist-infested Jordan, Syria, and Iraq. With unlikely allies and unstoppable powers, can Justin and Carrie undo the plot before the Middle East explodes into an all-out war? “I liked the detail put in by the author, like the narrative of moving down an alley with terrorists on either side. I felt like I was there. 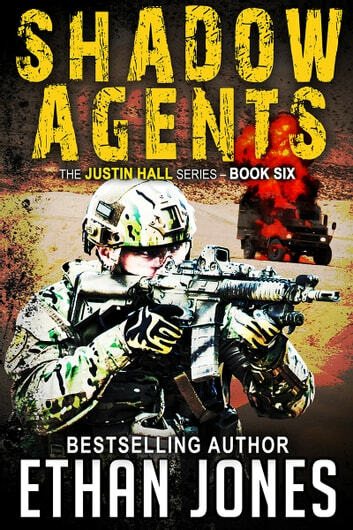 Ethan Jones’s masterpiece of suspense is the sixth thriller in the Justin Hall series with hundreds of five-star reviews and thousands of sales and downloads. Each book is a self-contained story without cliffhangers and can be enjoyed on its own. If you like Baldacci, Fleming, or Flynn, you’ll love Shadow Agents. Scroll up, click/tap and get lost in the adrenaline-drenched world of Justin Hall now!